Dividing the marital property is a central part of divorce in New Mexico. If divorcing spouses can agree on how to divide their marital property, the family court1 will usually uphold the agreement, formalizing it as part of the final divorce decree. When spouses disagree on how to divide their marital property, the court will get involved and make a final ruling to resolve the dispute. At Sutherland Law Firm, LLC, our Las Cruces divorce attorneys have extensive experience protecting clients’ interests when it’s time to divide the marital property in divorce. Skilled, insightful and diligent, our lawyers can help you successfully navigate the complex process of dividing property in divorce, effectively advocating and advancing your interests throughout the process. We are ready to help you get through the conflict and difficult times so you can get a fresh start and focus on your new beginning. What Is Marital Property versus Separate Property? Marital property – or community property – is any property either spouse acquired during the marriage, from the date of the marriage through the date of separation. This includes both assets and debts/liabilities, as well as property in and outside of New Mexico. A court has specifically designated as separate. A spouse acquired as a gift or inheritance, regardless of whether this was during the course of the marriage. A valid prenuptial or post-nuptial agreement has specified as remaining separate property. 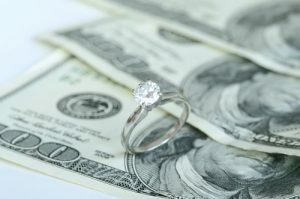 Determine what constitutes the marital property versus the separate property – This can be complicated when marital assets are allegedly hidden, when there are disputes regarding the validity of a prenuptial agreement and/or when separate property has been comingled with community property. Classify the marital assets versus the marital liabilities – While assets can include items like homes, vehicles, savings accounts and business interests, liabilities may include joint credit card debt, mortgage debt and tax debt. Determine of the value of the assets and debts – This can require gathering paperwork like deeds and titles, bank statements, tax returns, credit card statements and loan statements. It can also involve getting property appraised. Distribute the assets and debts equally – New Mexico is a community property state. This means that the court will figure out how to split the marital property 50-50 between the divorcing spouses, regardless of whether one spouse’s transgressions or wrongdoing contributed to the end of the marriage. Represent you in mediation and/or any court proceedings related to dividing your community property. A Las Cruces divorce lawyer at Sutherland Law Firm, LLC is ready to discuss your situation and advise you on your best options for protecting your interests as you proceed. Call 505-293-9333 or email our firm. 1: The Third District Court handles divorce and other family law cases for those in Albuquerque and throughout Doña Ana County.